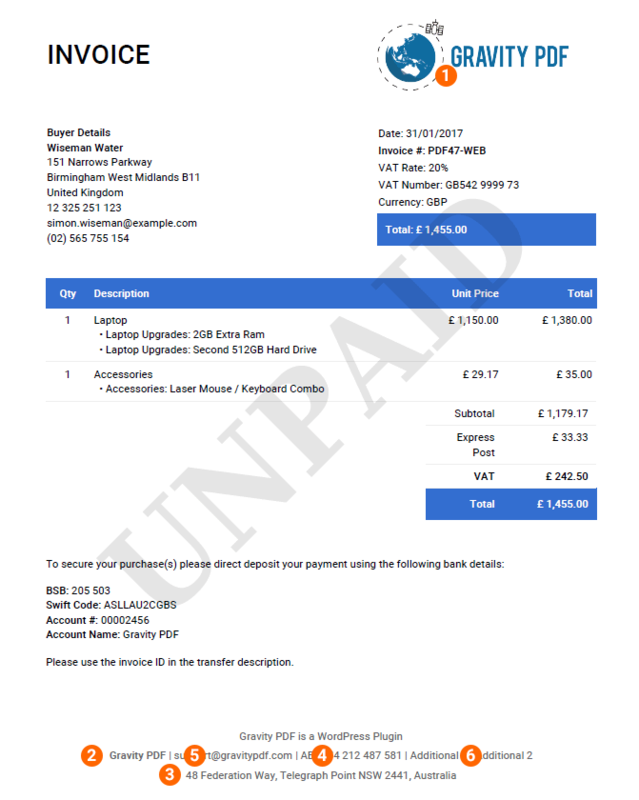 Invoice Modern is an invoice template on steroids and can be purchased from our PDF Template Shop. 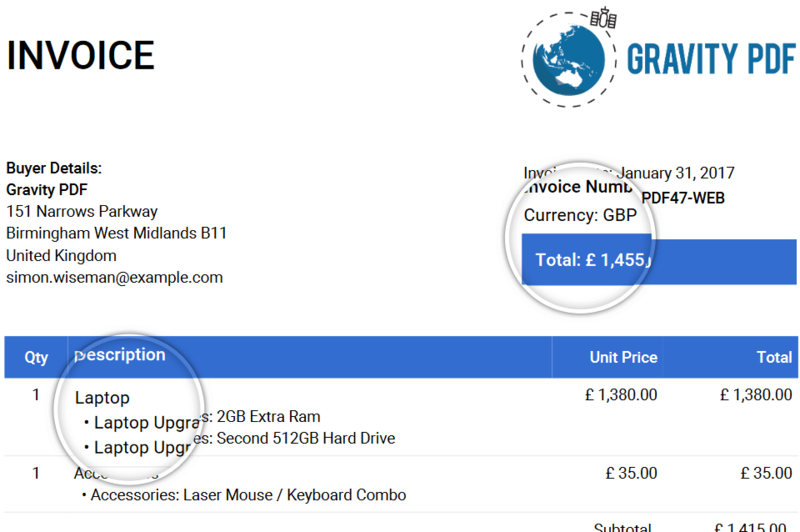 This guide will walk you through installing and configuring Invoice Modern to its full potential. 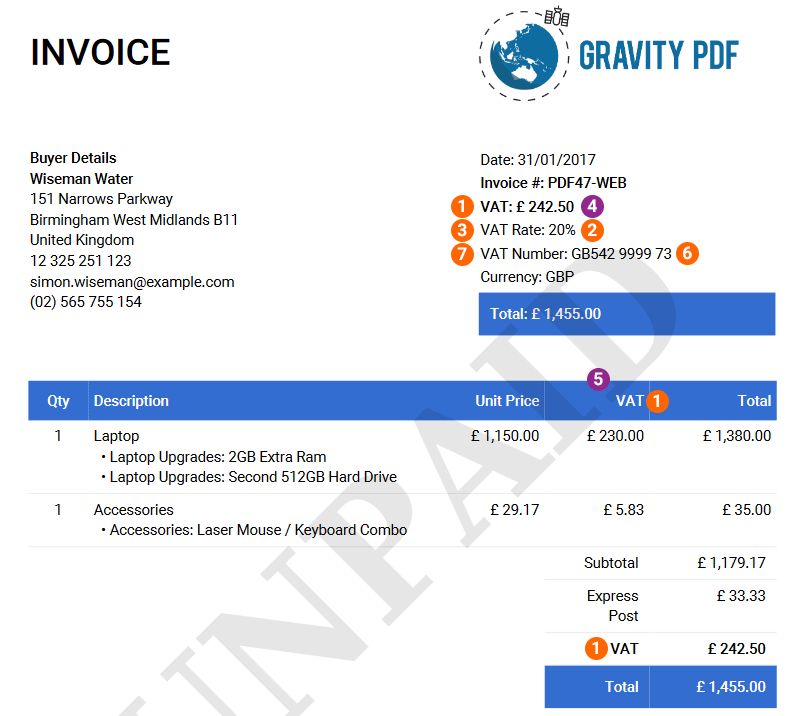 As an Invoice PDF template, Invoice Modern can be used with any Gravity Forms that include Product fields. You have access to your form data through Gravity Forms Merge Tags. For more information see the Gravity Forms Merge Tags documentation. All PDF templates have common settings that can be configured, such as font, security and PDF attachments. We recommend reviewing the PDF setup guide to get a better understanding on all the available settings. 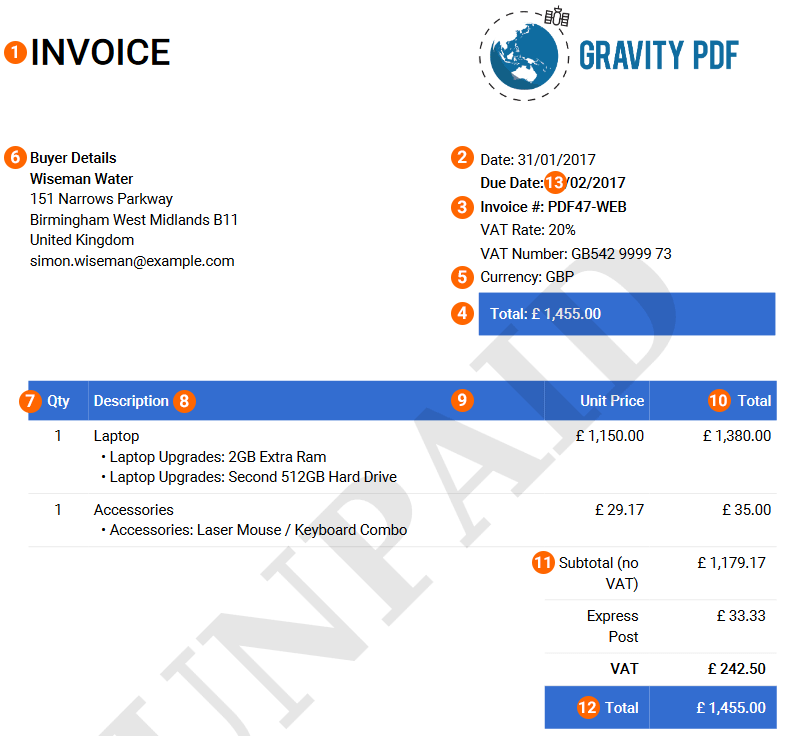 All template-specific configuration is done from the Template tab and below you’ll find detailed information about each option available in Invoice Modern, what it does and how it alters the generated PDF. This content is displayed below the product table. This is the perfect place to include payment terms, thank you note, or delivery instructions. 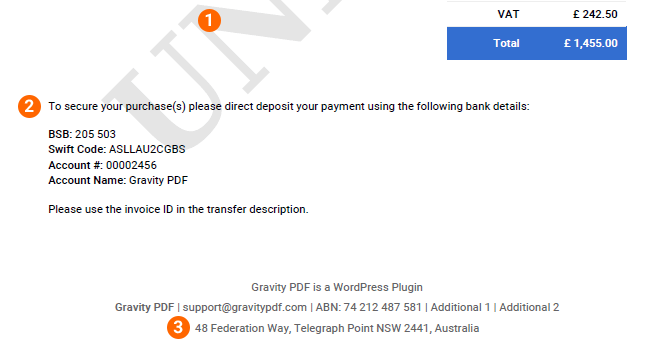 Roboto is an open source sans-serif font (Apache License, Version 2.0) that is easy to read and works well with Invoice Modern at 10pt. Set the PDF font in the Appearance tab.